Taoism is also known as Daoism. It is a religious or philosophical tradition of Chinese origin. This tradition emphasizes living in harmony with the tao which translates to the “way”. 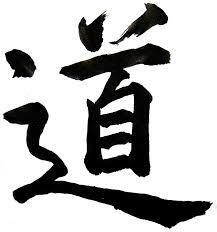 Taoism literally translates to “the teaching of the way”. 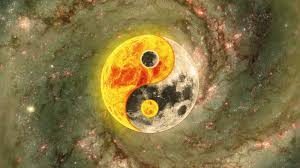 While the tao itself is an idea that is a part of many Chinese philosophical traditions, in Taoism specifically it denotes the principle that is both the source, pattern and substance of everything that exists. Go on reading this list to learn more about this interesting tradition. Taoism’s ideas and writings preceded any organisational structure of the religion. Around 550 BCE, a number of spiritual thinkers began putting their ideas into writing. However, the teachings of the Tao formed a collective and composite reading only around the 4th or 5th century, BCE. Most of these teachings were purported by Laozi through a philosophical and political text known as Daode jing around this time. 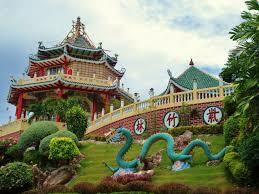 Followers of Taoism are known as Taoists. Taoism began to exist as an organised religion around 142 CE when the Way of the Celestial Masters sect was founded by Zhang Daoling. Taoist ethics are laid down in the texts of Taoism. According to Taoism, people must be humble and are obliged to try to make the world a better place. While doing this, they must realise that human nature is so ignorant of the happenings of the world that when they take actions to right things, they only make them worse. The political ethics state that the leader of the state should run the country by personal example and minimal intervention. A good leader is characterised as having respect and willing followers and lives virtuously. 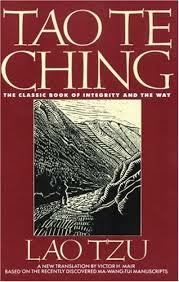 In the Tao Te Ching, multiple meanings of tao have been given. Firstly, it is looked at as a “way” or “path”- an appropriate way to behave and lead others. Another interpretation of it is as something, a substance that existed “before Heaven and Earth”, the substance from which all forms emerged and all forms are made of. For a follower of Taoism to live in accordance with the ethics of the tradition, he/she must make decisions keeping the tao in mind, what fits best with the natural order of things must be chosen. 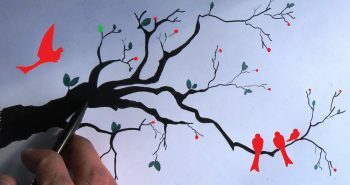 Traditionally, there are no branches or subsects of Taoism. However, scholars have identified two such categories: Religious Taoism and Philosophical Taoism. Religious Taoism believes in the existence of supernatural beings who may interact and form relations with human beings. These supernatural entities include gods, ghosts, and spirits of ancestors. 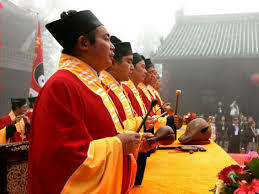 The religious sect of Taoism emphasizes on the necessity of rituals to maintain positive relations with these entities. These rituals are said to enhance one’s physical health, align oneself spiritually with the Universe’s forces, and enable spiritual journeys. Philosophical Taoism is a certain way of philosophically reading and interpreting Taoist texts. It emphasizes the themes of we wei, emptiness, detachment, spontaneity, and the strength of softness over brutality. These concepts fall under the umbrella of Taoist ethics and are held common to all schools of the tradition. Wu Wei refers to the effortless action with which people must conduct themselves. The Three Treasures are the jing which is the ‘sperm/ovary energy’, or the essence of the physical body), the qi which is the ‘matter-energy’ or ‘life force’, including the thoughts and emotions of the individual, and the shén which is the spirit or generative power. 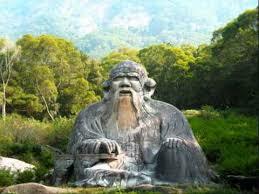 The main text of Taoism is Daode jing or Tao Te Ching written by Laozi (Lao Tzu) around the 3rd or 4th centuries. The text focuses on multiple meanings of tao. This text along with the later writings of Zhuangzi form the written pillars of the Taoist tradition. In addition to these texts, there are about eighty texts along with their supplements that prescribe guidelines for living in the Taoist community. These texts also describe the ethical and communal principles of the Taoist religion. The texts show to what extent Taoist realization or learning is based on the interactions between one’s own personality and the members of the community. These members include family, monastery, the state, religious groups, and the universe. Taoism follows practices based on morality. The religion disapproves of killing, stealing, lying, promiscuity, and any other practice that could bring harm to members of the Taoist’s community. 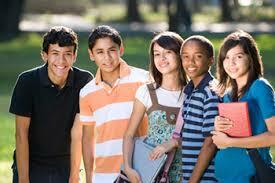 It encourages and approves of positive or altruistic behaviour such as being kind and helpful to those around. Taoism differs from Confucianism in the sense that is does not emphasize rigid rituals and social order. This particular tradition believes in fasting and practising vegetarianism. Another interesting tradition followed by the Taoists is astrology and divination. Taoism follows a gender-neutral policy. This neutrality is showcased by the concept of yin yang­. According to this belief, masculine and feminine are complementary, inseparable, and equal. The religion believes that women are equal and holds that they play an important role in spiritual life. There have been numerous instances of women priests and important deities that were female. In addition, the emphasis on characteristic such as softness, yielding, modesty, and non-aggression have given Taoism a partly feminine nature. The main deities of Taoism are Hongjun Laozu, Guan Shengdi, Li Hong, Xiwangmu, the Three Pure Ones, the Eight Immortals, the Yellow Emperor, and the Jade Emperor. 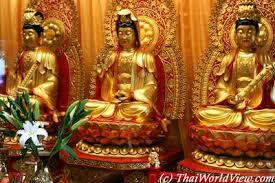 These deities are considered role models who have already achieved tao. It is their duty now to teach other creatures the ay, and redeem them all. To gain the favour and assistance of these deities to achieve their goal, Taoists worship them. 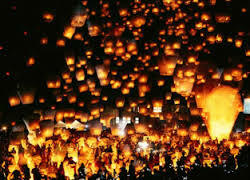 Festivals form an integral part of the Taoist culture. These festivals include The Lantern Festival- to celebrate the first full moon of the year and the birthday of Tianguan who is the Taoist god of good fortune, Tomb Sweeping Day- to celebrate ancestors at their graves, the Dragon Boat Festival- to celebrate the life of Qu Yuan, a great poet and advisor of the Zhou Emperor, the Chinese New Year- paper statues of Gods are burned to send them up to Heaven to report on the happenings in the world below, and the Hungry Ghost Festival- ancestral spirits are appeased with offerings, prayers, and music. This article hopefully gave you a meaningful insight into the famous Taoist religious tradition. With its celebrations of interesting festivals, and ethical and moral values that can be held universally, information about this religion is excellent general knowledge and a great topic to write projects and assignments on.